January's certainly been a busy month! 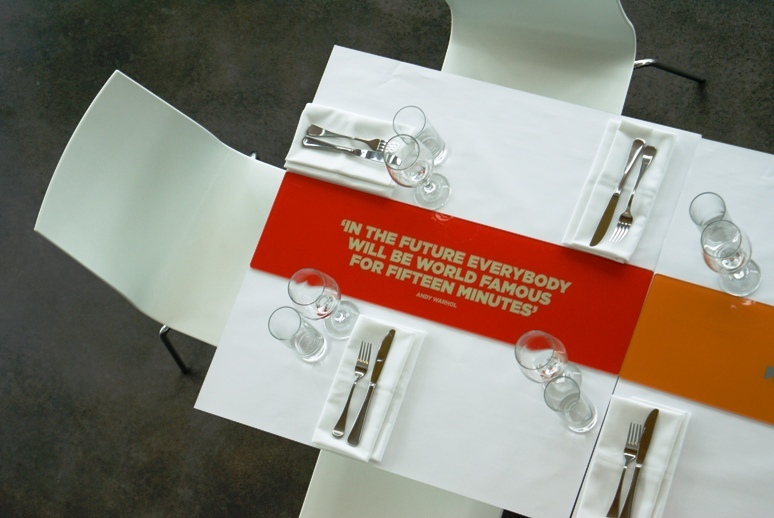 Amidst all the preparations for the Unleashed08 exhibition at Artisan (which opens tonight! ), and making stuff to sell at the Hope Street Markets (which opens tomorrow night! 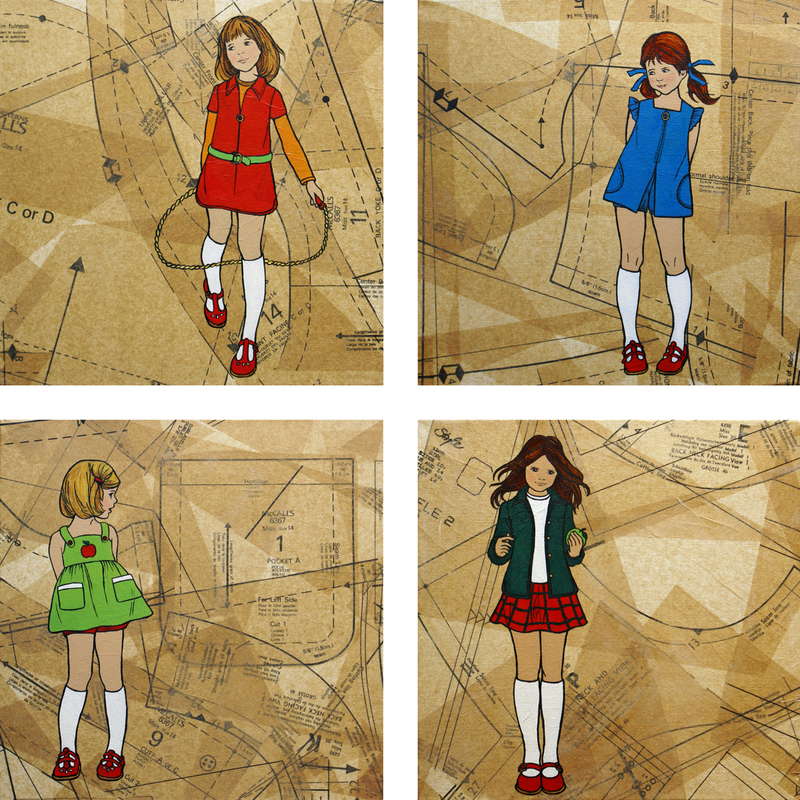 ), I managed to paint the next four girls in my Red Shoe Girls series. 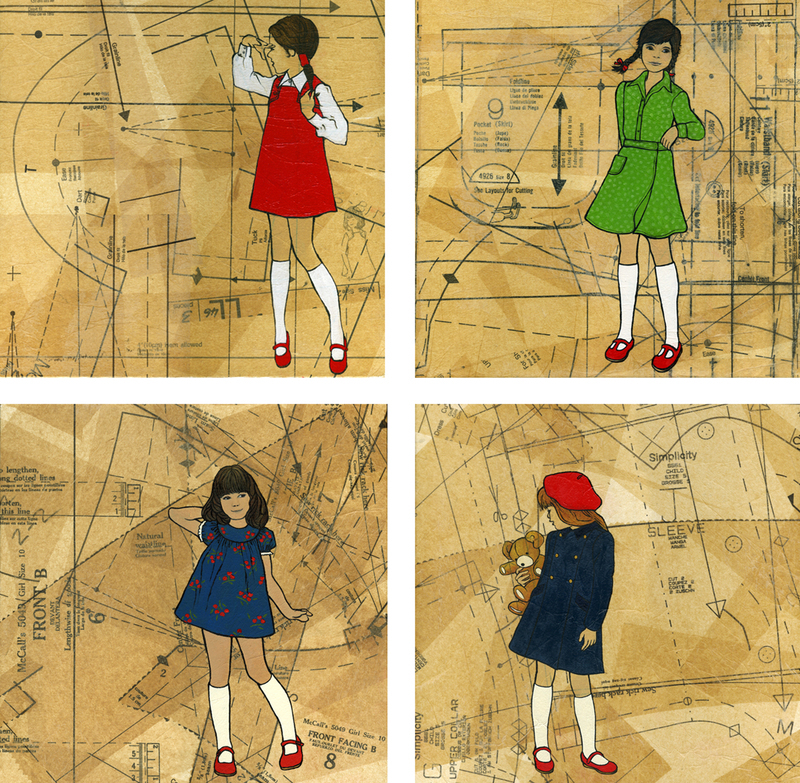 Clockwise from top left: Lucy, Lisa, Madeline and Samantha. Initiated by my artist friend M Squared in January last year, I am one of four people who for the last 12 months have participated in the first round of this mail-based project. Every month we received four new words from M - and using these words we were to create/write/make something (primarily using paper as the medium) and mail it back. 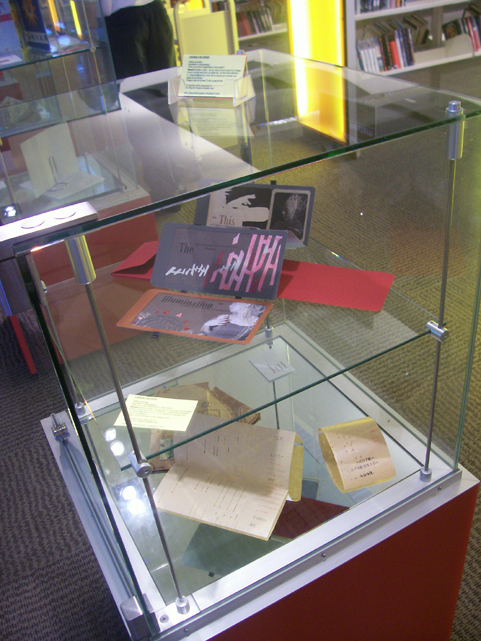 The brief was remarkably open, but essentially revolved around interpretating the 4 words into a personal and contemporary take on the old-fashioned concept of mail/letters. ^ based on a secondhand storybook picked up at a charity book sale - the title page became my stationery and the book's cover was taped together and used as the envelope. ^ a study in red, dimensional letters, papier-mached rice paper, and black ink. Handmade red A4 envelope to match. ^ a circular/tubular solution which interpreted the 4 words into a story illustrated by circular symbols (moon, bottle-top, lipstick kiss, wedding ring) and off-cut confetti. 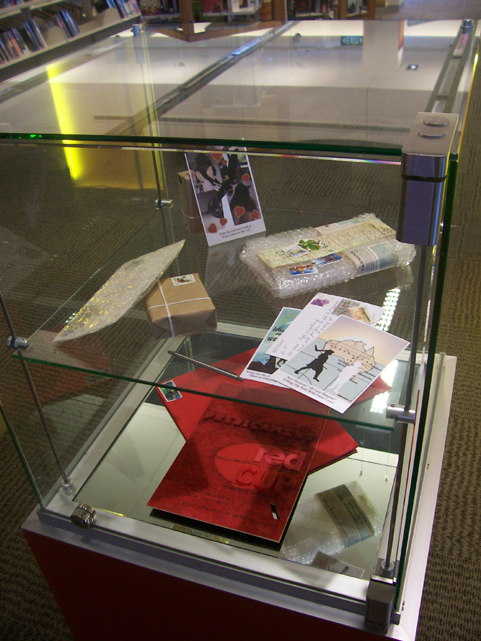 ^ a layered, translucent, inked, embossed and pierced solution that needed to be held up to the light in order to be read. Posted in a matching translucent envelope tied with purple string to match the hidden purple graffiti. ^ the repetition of the holes in pianola roll paper was used as the start point for this submission, with the letter written from bottom to top, just as the words are alongside the pianola musical notes. The envelope was hand-folded from the beginning section of the pianola roll! ^ the room of choice was the kitchen, with its memories of my grandma's baking and garish kitchen surfaces. I also used the old laminate pattern to make the matching DL envelope. And so the 4W4P project will continue for me, M, Jay Dee, and Travis (the first 4 participants) for another few months, until such point as M recruits the next four artists for Round 2. If you're interested, hop over to the website for details. 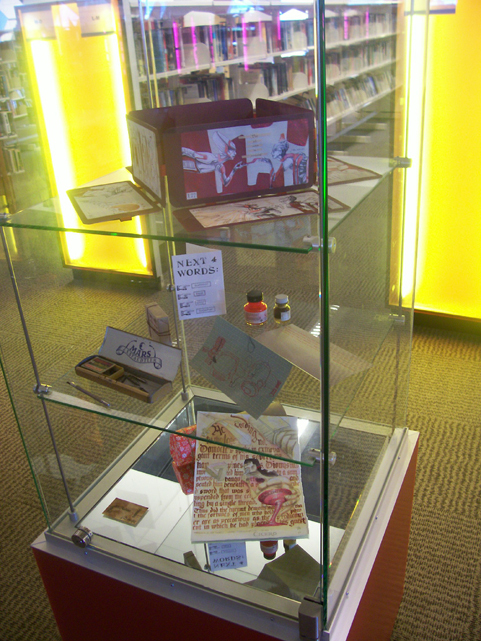 The 4W4P exhibition at Brisbane Square Library will be on display until the 27th January 2008. 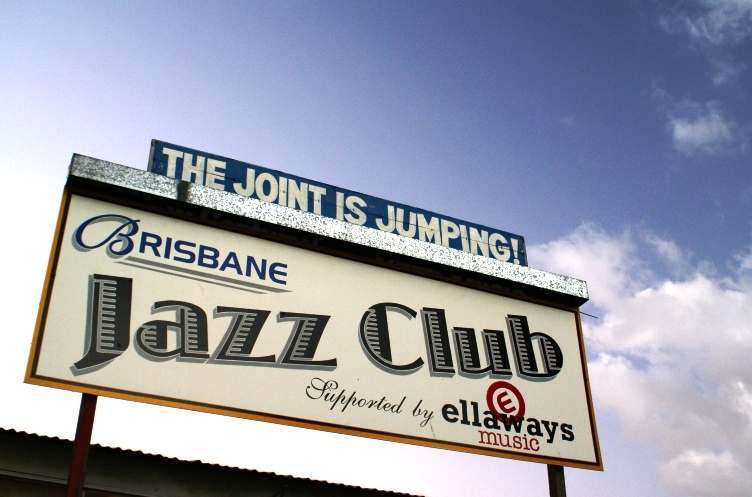 We just arrived back from (not-so-sunny-at-the-moment) Queensland last week, and it seems there’s a lot of great stuff happening in Brisbane at the moment. 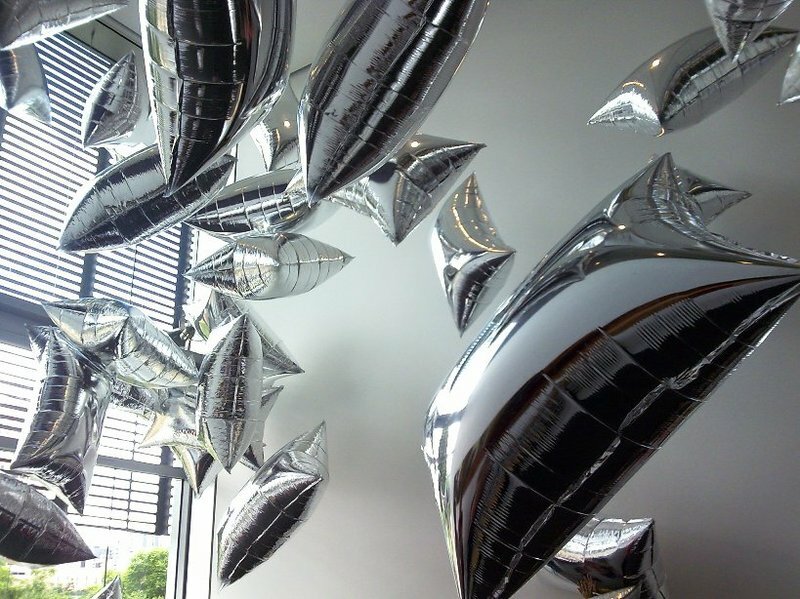 ^ Even the GoMA cafe was decked out in Warhol spirit...! 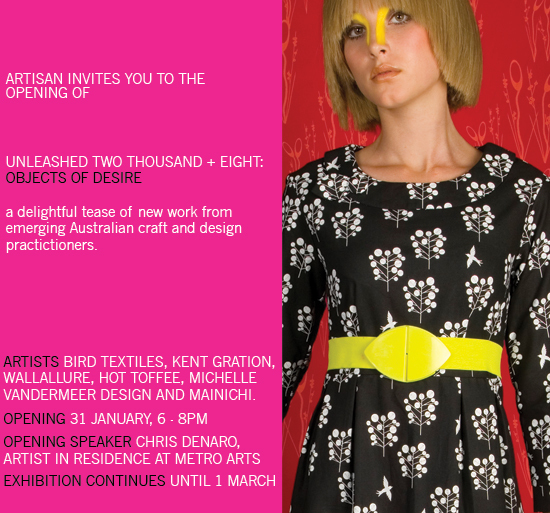 And last but not least is the Unleashed08 exhibition coming up at Artisan (formerly known as Craft Queensland) at the end of January. 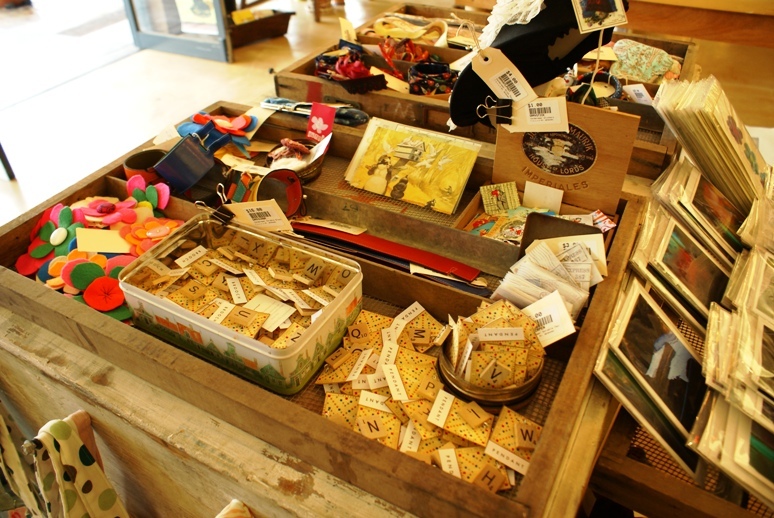 It’s a showcase of new products from ‘young, emerging designers’ and this annual event is always a great show. Opening night is the 31st January and it runs until the 1st March 2008. And did I mention there’s the Hope Street Markets coming up in the first few days of February…?